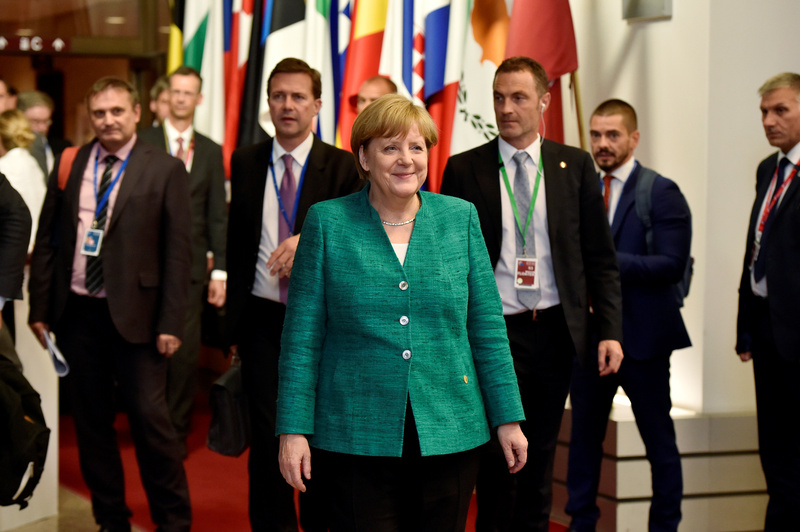 European Union leaders reached a deal on migration in the early hours of June 29 after tense and lengthy talks. The pledges made to strengthen borders were, however, vague and German Chancellor Angela Merkel conceded there were outstanding differences. Leaders agreed to share out refugees arriving in the bloc on a voluntary basis and create "controlled centres" inside the EU to process asylum requests. They also agreed to share responsibility for migrants rescued at sea, a key demand of Italy's new Prime Minister Giuseppe Conte. Conte, whose government includes the anti-establishment 5-Star Movement and far-right League, had earlier refused to endorse a summit text on security and trade until other leaders had pledged to help Italy manage Mediterranean arrivals. Merkel, meanwhile, has faced intense domestic political pressure to take a firmer stance on migration.